by silently pronouncing the letter "T" into the mouthpiece. cially when you are playing rapidly. on which you put your fingers and thumbs. over the holes in the positions shown in Fig. 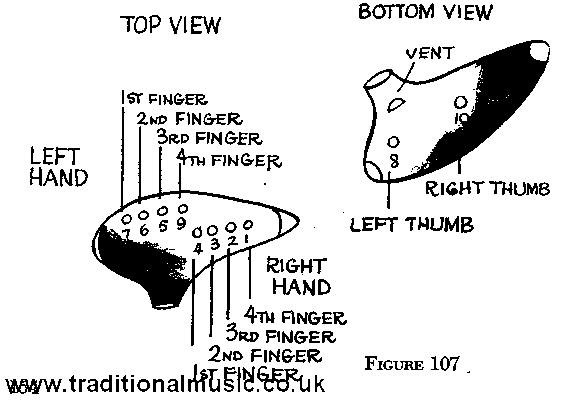 107.
means an open hole�made by raising a finger or thumb.